▲ The six glass peaks that top the Tennessee Aquarium’s Ocean Journey and River Journey buildings anchor the city’s iconic skyline. Behind the word “innovation” is an almost mythical concept that many people reserve for the most gifted technological minds of our time. 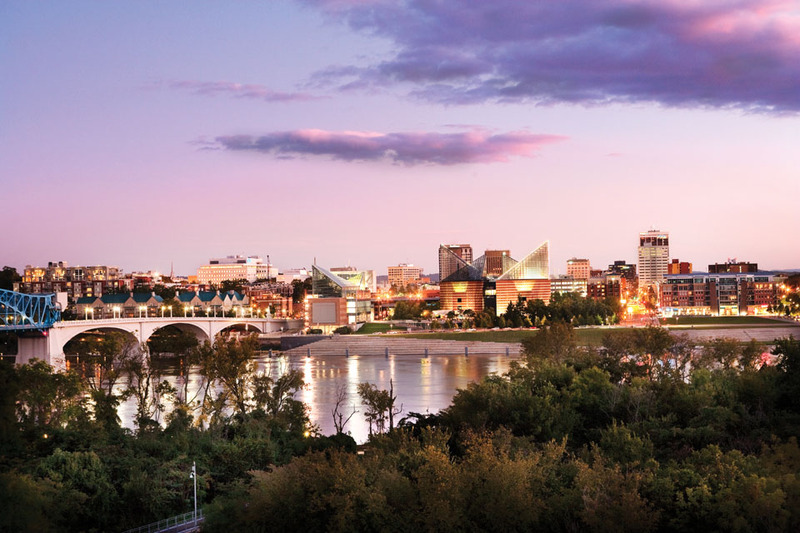 However, in Chattanooga, innovation is simply the marriage of ideation and tenacity—and it’s something residents of this southeastern river city have been doing for decades. 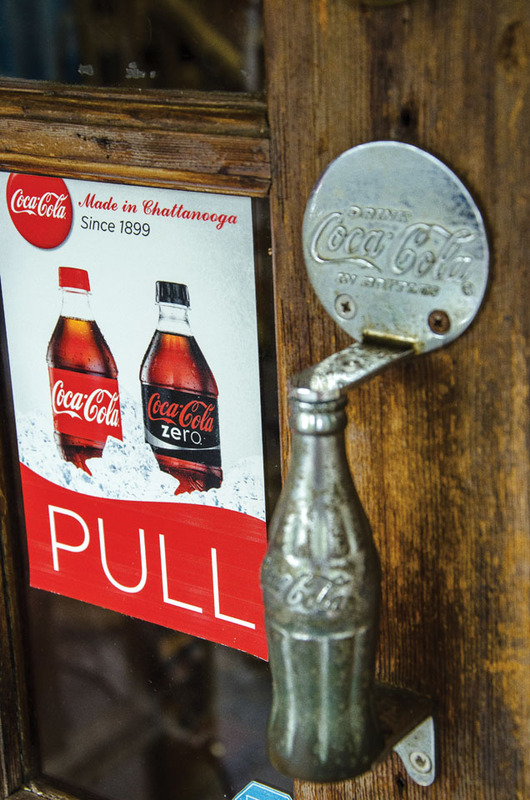 If you walk into most any antique or vintage resale store in Chattanooga, you are guaranteed to find a plethora of Coke memorabilia—clocks, drinking glasses, unopened limited edition bottles, commemorative plates and trays, vending machines and ice chests. The list goes on and on. Its proximity to the beverage’s birthplace of Atlanta may seem like the logical explanation for Chattanooga’s Coke craze, but the city’s ties to Coca-Cola are traced to three local pioneers who not only put Chattanooga on the map as the world’s first bottler of Coke but also provided a lasting legacy for the city’s development. The story of how Coke came to be bottled in Chattanooga is not unlike that of many of the city’s success stories: A man with an idea and ambition sought out opportunity and seized it. Kentucky native Benjamin Franklin Thomas was a newly established attorney in 1888, when he moved to Chattanooga to capitalize on the “feverish” entrepreneurial excitement that captivated the city, as described to him by a friend. Although law was his occupation, Thomas was constantly seeking an idea that would prove practical, renewable, and profitable—like a spool of thread. As Ned L. Erwin writes in Bottling Gold: Chattanooga’s Coca-Cola Fortunes, the Spanish American War, like many conflicts, provided the perfect backdrop for inspiration. ▲ Located in Chattanooga’s Riverview neighborhood, John T. Lupton’s estate encompassed more than 30,000 square feet of living space and luxuries including multiple swimming pools and a bowling alley. Named Lyndhurst, it was one of the South’s largest mansions at the time of its completion in 1909. Equipped with a promising idea, Thomas obtained a partner in fellow Chattanooga attorney Joseph Brown Whitehead, and the pair met with Coca-Cola Company president Asa Candler in July 1899. Candler reportedly expressed skepticism at the idea of bottling Coca-Cola, citing the popularity of the fountain and his hesitance to allow outsiders to potentially affect the integrity of the brand. Thomas and Whitehead, however, were resolute. And by the end of the month, the pair had signed a contract with Candler, giving them exclusive bottling rights in the United States, with the exception of Mississippi, New England, and Texas. In need of capital to begin operation, Whitehead and Thomas approached another Chattanooga lawyer to join their venture. A successful entrepreneur in his own right, John Thomas Lupton saw potential in the startup and joined as the third partner in what became Coca-Cola Bottling Company. The Lupton name would be associated with the company, and with Chattanooga, for more than a century to come. Kayakers paddle underneath the Market Street Bridge along the Tennessee River. Constructed in 1917, the drawbridge appears on the National Register of Historic Places and is one of the largest double-leaf bascule bridges in the nation. Thomas, Whitehead, and Lupton profoundly changed Coca-Cola, or at least the way America encountered it. And they changed Chattanooga. From the day they first began bottling Coca-Cola into the 21st century, Coca-Cola has been one of Chattanooga’s major industries, and its profits have funded much of the city’s redevelopment through the philanthropy of the Lupton and Thomas families. When he died in 1933, John Thomas Lupton left a fortune in the billions, some of which found its way into a foundation called the Memorial Welfare Foundation, which funded health-care and cultural amenities. Upon the death of his only son and heir Carter Lupton in 1977, the estate was probated at $200 million, reportedly the largest estate ever probated in the South up to that time. 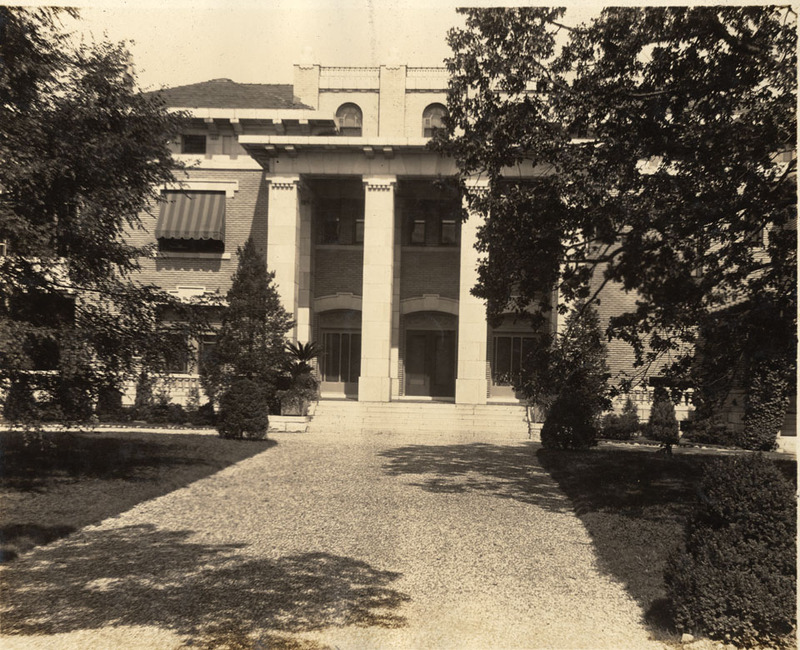 The family renamed the expanded old Memorial Fund after something personal, the original patriarch John Thomas Lupton’s palatial home on Riverview Road in North Chattanooga, though it had been demolished for almost 20 years. Remembered by Jack Lupton and the older members of the family, it was called Lyndhurst. Instantly the Lyndhurst Foundation became perhaps the region’s largest private charitable fund. It went to work on improving the city that had given John Thomas Lupton his start. Leading the charge was a Coca-Cola heir then in his late 50s, Jack Lupton. In 1984, when American cities were just beginning to rediscover themselves, Lyndhurst launched a new initiative, Chattanooga Venture. Seeking community support, Lyndhurst funded a visioning process in Chattanooga, involving interviews and conferences—people came to learn the new word “charette”—to determine what defined Chattanooga, and what the city needed most. It would be called Vision 2000. The process yielded some more specific goals: fixing up the century-old Walnut Street Bridge, deemed unsafe for automobile traffic, adding riverwalks and greenways, making downtown more pedestrian-friendly in general. The process also confirmed that the Tennessee River was elemental to the city’s culture and history, and any major project should address the river in some way. At the same time, downtown’s once-industrial riverfront was ugly and decrepit. One of the fixes was ambitious if not startling in concept: a greenway, a Tennessee Riverpark, originally conceived to stretch the 22 miles from Chickamauga Dam to downtown Chattanooga and beyond. Considered a boondoggle by early critics, the Tennessee Aquarium in Chattanooga today hosts 700,000 visitors annually and is consistently ranked among the Top Ten Aquariums in the country. After working with consultants and polling thousands of Chattanoogans, the Luptons chose to go forward with an extraordinary project. A major tourist attraction would go in on the formerly blighted property right by the riverfront. And that attraction would be the world’s largest freshwater aquarium, which would, in part, tell the botanical and zoological story of the Tennessee River with live fish and other water creatures. It received a little flak in 1988, decried by one critic as a “boondoggle” for Chattanooga taxpayers. However, most of the risk was on the shoulders of well-known private entities. 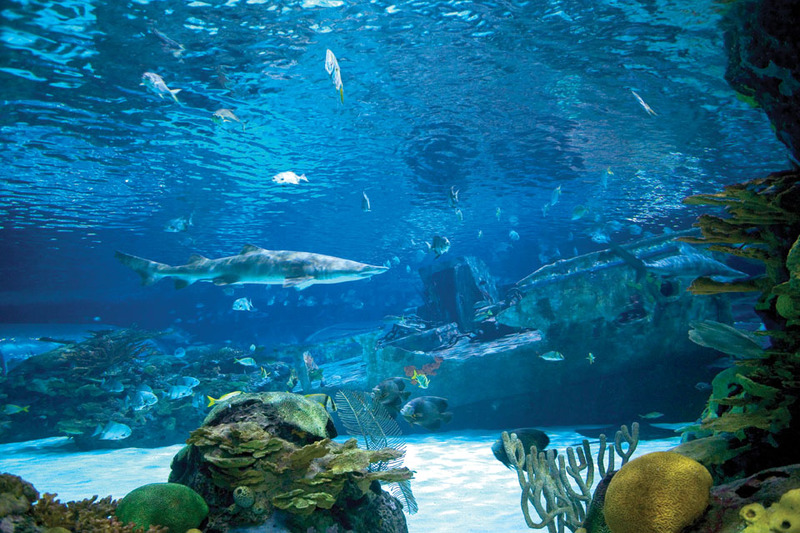 Funded with $10 million from the Lyndhurst Foundation and $11 million more from Jack Lupton himself, the Tennessee Aquarium, completed in 1992, was a success right off the bat. It earned national attention, taking the city’s traditional century-old tourist economy to a new level. Assisting were several other new amenities: an IMAX 3D Theater, the Creative Discovery Museum, and the new Bluff View Arts District, which aimed to make something like a lifestyle option out of the reputation earned by the Hunter Museum over the last few decades. It included the upscale Bluff View Inn, several artsy shops, a modern sculpture garden and, of course, the Rembrandt Coffee House. It was like a vacation resort for the educated and affluent, right next to an urban area. Throttled forward by several organizations, dominated by public-private partnerships, Chattanooga over the next five years saw almost incredible changes come over the city, as 128 new stores and restaurants opened in the downtown area, much of it responding to the expected crowds of aquarium-goers, but also to the fact that downtown had such a major anchor that made it seem unlikely to fail. It was an era when every city touted the need for a convention center, citing anecdotes of lucrative conventions lost, but when extravagant examples of such projects often yielded disappointing results, Chattanooga built a comfortable human-scaled convention center connected to the Chattanoogan Hotel, completed in 2001, was built to serve, not to awe. 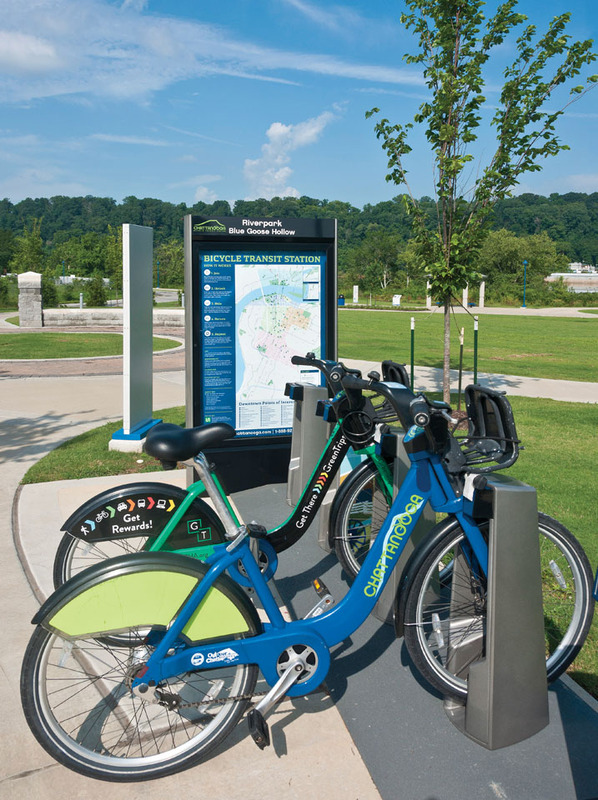 In keeping with the city’s outdoor culture, Bike Chattanooga offers residents and tourists unlimited hour-long bike rentals between 30-plus docking stations for the price of an annual membership or temporary pass. Some of Chattanooga’s most surprising developments were serendipitous. When the century-old Walnut Street Bridge, declared unsafe for automobile traffic, reopened as a pedestrians-only bridge—a mile long, it was reputedly the biggest pedestrian bridge in the world—it might have seemed like an expensive curiosity. That is until, on the north side, blighted Frazier Avenue, not specifically addressed in the planning before then, suddenly bloomed. It seemed that once people had crossed the longest bridge in the world, they were hungry or thirsty, or just wanted to do some shopping to prove they’d been over there. Frazier Avenue became one of downtown’s liveliest commercial streets. Planning for a movie theater brought up the necessity of significant acreage of parking. Then, of course, it became clear that people go to movies mostly not during business hours. The new Bijou’s parking garage could double in the daytime as a commuter garage. And it could even serve as a hub for the improved public-transit system. Meanwhile, the Chattanooga Area Regional Transportation Authority (CARTA) would institute a free electric shuttle service downtown, a major innovation unusual in any city today, and even more extraordinary in that it has been in service since 1992, more than a quarter of a century. The success of the experiment encouraged the city to dream big, in the confidence that its century and a half of grappling successfully with an array of unusual transportation problems could make the city a center for transportation research on the world stage. Chattanooga in the ’90s did nothing by half. The Aquarium was the largest freshwater aquarium in the world. Walnut Street Bridge was the biggest pedestrian bridge in the world. The CARTA shuttle system was the largest fleet of emission-free buses in the world. That’s according to promotional material at the time, of course, but challenges to those claims are scarce. Chattanooga was not afraid to blow its own horn, touting its distinctions on a global, not regional, stage. 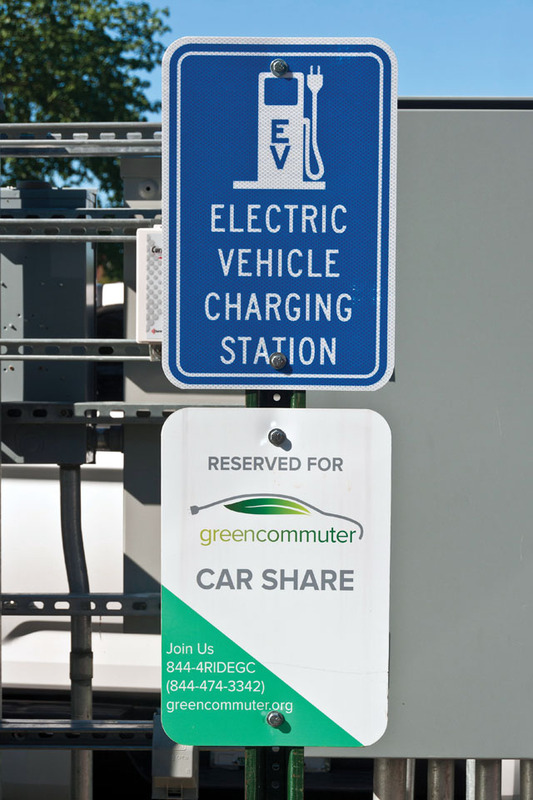 A membership-based program for individuals and businesses, Green Commuter provides 24/7 access to a fleet of electric cars for as a little as $7 per hour. This agreeable flood of money, enthusiasm, and fresh ideas didn’t lift all boats. When Loveman’s Department Store, the city’s largest store and an institution since the 1880s, closed in 1993, the year after the Aquarium opened, it seemed the end of an era for downtown, even as Chattanoogans acknowledged the beginning of another. Urban planning got surprising traction with some pragmatic conservatives in city government, like City Councilman David Crockett, who became convinced that enhancing downtown development for residents, office workers, tourists, and more or less everybody, would save the city money in the long run in publicly funded costs for roads, water mains, sewers, schools, in fact most city services. He started something called the Sustainable Development Institute, which supported downtown development, greenways, public transportation, historic preservation, and public art. By the late 1990s, Chattanooga perhaps unexpectedly found itself on the forefront of a national movement. Hailed as the Sustainable City, it was to be a model for American cities, with emphasis on re-occupying downtown not just as an office park, but as a dense residential and recreational district, and therefore one less dependent on fossil fuels and all the expensive adaptations American cities have had to make for the automobile-dependent lifestyle, from toxic fumes to expensive highways and suburban infrastructure. The idea got perhaps surprising support from multiple quarters, from city government to philanthropy, an alliance between young idealistic environmentalists and bicyclists who liked the new greenways, and their elders, who remembered the 1960s, and how bad it had gotten, and how bad it was economically for the city of Chattanooga. The Chattanooga Renaissance, hailed in big-city papers, national magazines, and even some internationally distributed documentaries, would have been unlikely if things had not once gotten so obviously bad that city leaders were ready to throw out their old assumptions of what makes a city successful or modern. As if preparing to present itself to a new century, Chattanooga abandoned the suburban-industrial model that had emptied its downtown and coated it with soot. 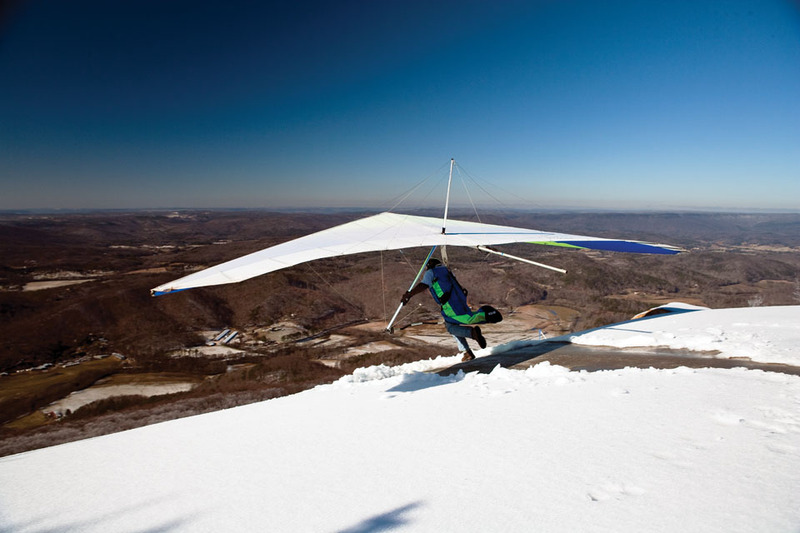 A hang glider launches from Lookout Mountain. On warm days, the launch ramp becomes a popular hangout for local spectators. As a new century dawned, Chattanooga became, almost, its own opposite. And it seemed to work as well as the old model had a century before. The city pulled out of a steep population decline. As Chattanooga reoccupied itself, America reoccupied Chattanooga, which gained an estimated 24,000 more citizens in the years after 1990. What Lyndhurst, River Valley Partners, and the idealism of the ’90s had created was a credible platform for newer ideas in a new century. By the early 2000s, through millions in investment and millions of man hours of creative effort, Chattanooga was considered a great place to live, especially for creative and tech-savvy young people. One ideal of the late 20th century that hardly even hiccuped with the changing moods was the city’s access to distinctive outdoor attractions wholly unlike those in other American cities. Hiking led to mountain biking, to rock climbing, to paddle-boarding, to hang-gliding, especially along the now-approachable river and among the nearby mountain slopes and crags, like the river overlook known as the Tennessee Wall. Most of the draw was natural, picturesque or challenging features of stone and water that had been there since the Cherokee, but after clearing its air and water, Chattanooga greeted nature’s ancient wonders in modern ways, first with its bike trails, with well-stocked outfitters shops, and eventually with amenities unusual in any city like “The Crash Pad,” a specialized hostel “for adventurous travelers,” with adjacent bar run by a rock climber and called The Flying Squirrel. 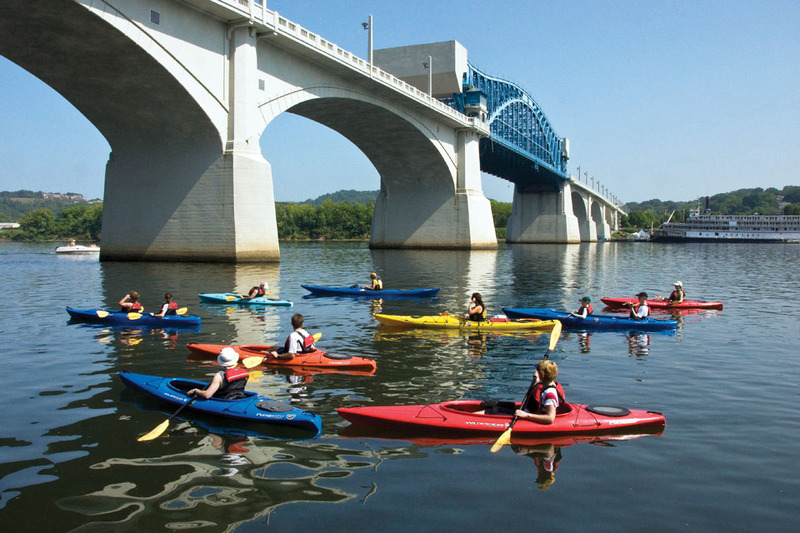 In 2011, Outdoor magazine named Chattanooga that year’s distinction, Best City Ever. Four years later, the magazine repeated the distinction, with a special feature recommending a two-day Chattanooga adventure involving extreme mountain biking, rock climbing, trail running, and hang gliding, with hearty meals and beverages in between. Alongside all that celebration of the outdoors came some indoor innovations that resulted in a distinction that no one involved in the Chattanooga Renaissance predicted. In the 21st Century, the Sustainable City would become known as Gig City.